One of the great things about houseplants is that they can add so much to the decor of your home. They provide texture, color, interest and variety. The same should be true for the pots you put your plants in. I’m obsessed with modern, simple design when it comes to home decor, and I love using modern indoor planters to accent simple styling. 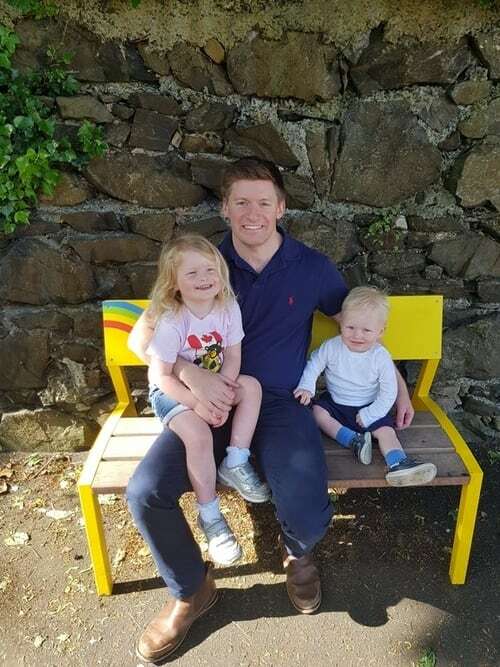 It took us a long time to decorate our home properly as we like to research our choices endlessly and want to make every choice well considered. 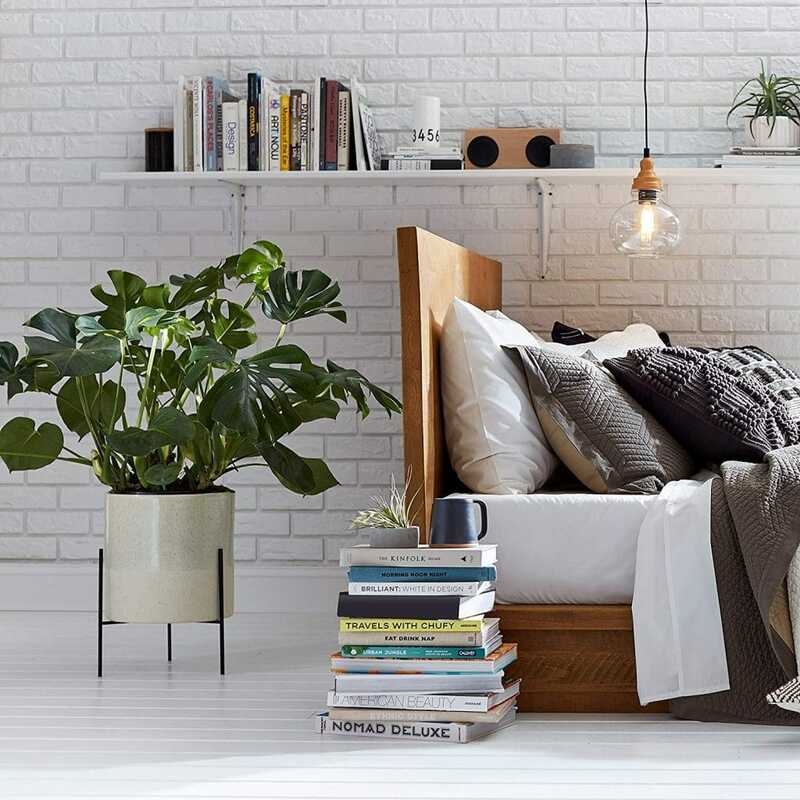 It brings me genuine joy to choose decor accessories such as planters as they make each room feel complete and homely. 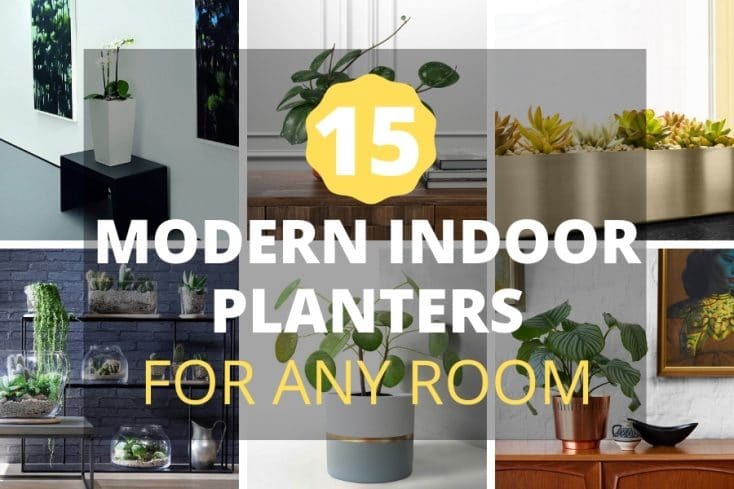 I’ve picked out some of my favorite modern indoor planters for displaying plants which I hope you will love too. 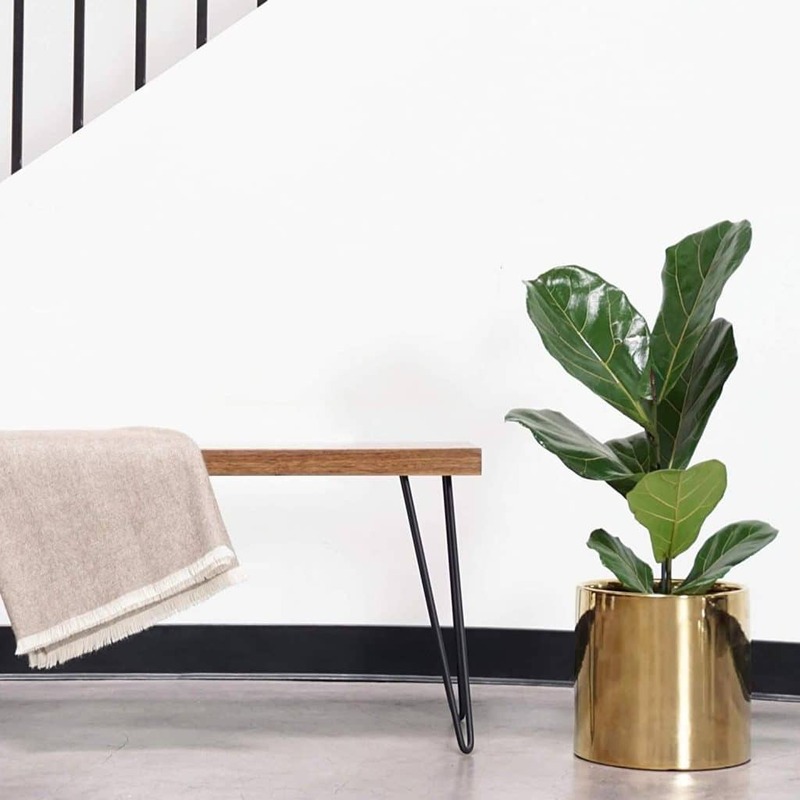 A simple rectangular planter in a hallway can do a lot for your home. 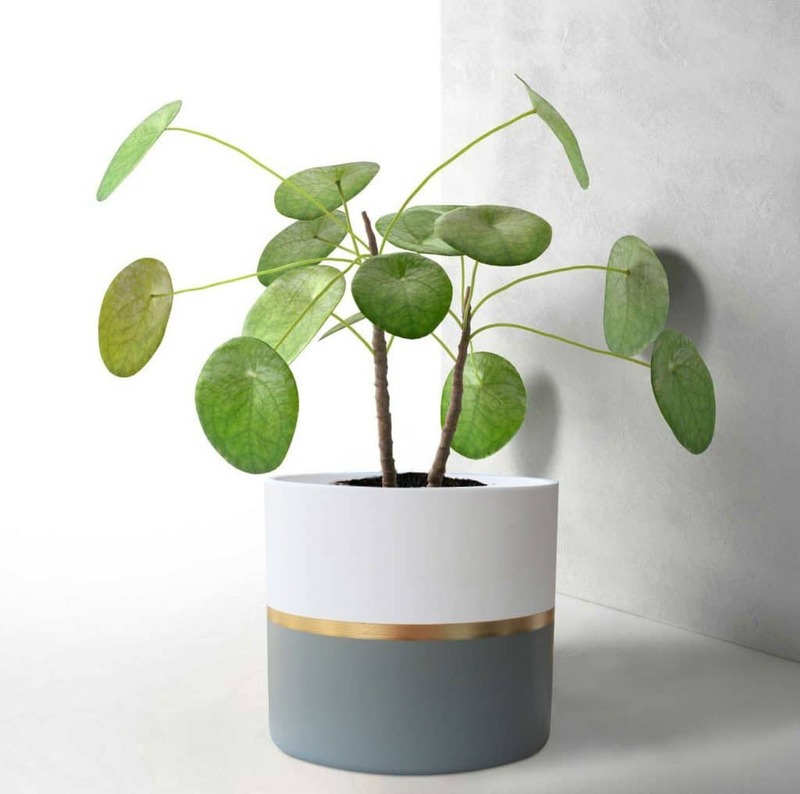 This pot from Lechuza (link to Amazon) caught my eye due to its simple styling and good proportions. 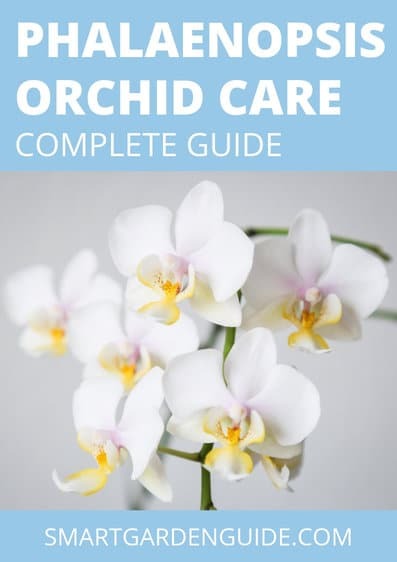 It’s actually self-watering as well, which is a great option if you are sometimes a bit forgetful about watering your plants, and for when you go on vacation. I have my cast iron plant proudly displayed in a 3-foot tall gray planter in my hall which I absolutely love. 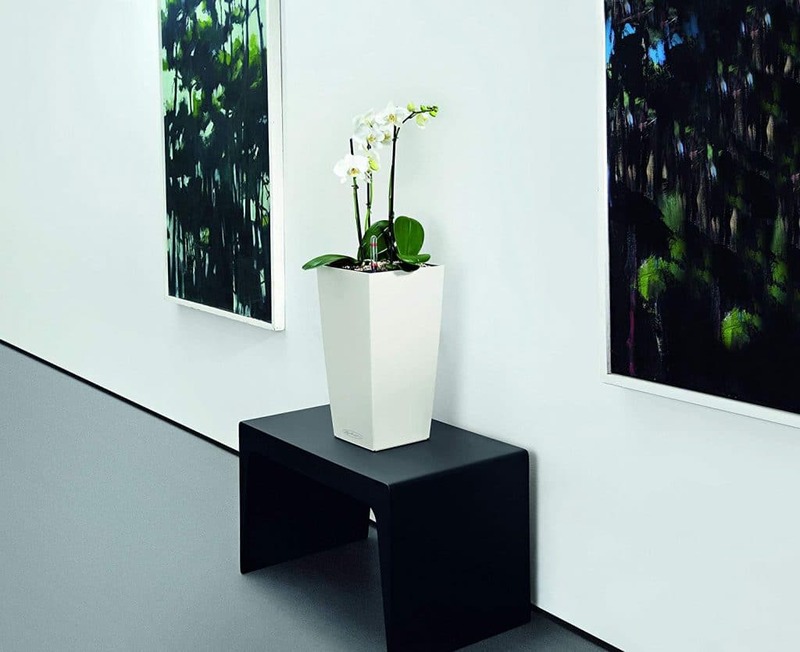 A tall planter on the floor can look great, or a smaller pot such as this one is a lovely feature on a hall table. Perfect for a table or windowsill, this compact planter from La Jolie Muse is perfect for a calm and serene home. The color scheme looks fantastic against the green foliage. My home decor is dominated by white and gray, and I love how the gold adds an accent which really brings this pot to life. The Pilea peperomioides in this picture is the poster child of indoor plants these days and looks fantastic. 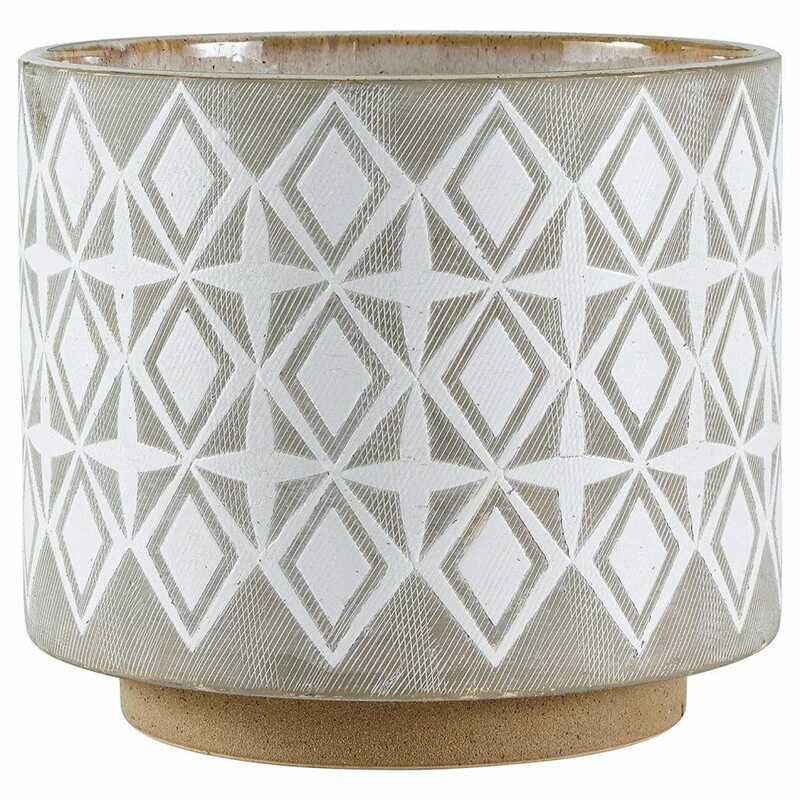 Clean geometric patterns and a clean color palate make this ceramic planter really stand out to me. It’s right up my street. Note that this planter, along with most of the others I’ve picked out on this page don’t have drainage holes. I always use this type of planter as an outer pot, and put my plant in an inner plastic pot with drainage holes. This makes watering much easier as I can just take my plant to the sink, lift the plastic pot out of the decorative pot, and water it under the tap. Just make sure to let it drain for a few minutes after watering to ensure that you don’t get a puddle of water at the bottom of the decorative pot when you set it back. Whilst many people use a decorative pot with drainage holes and then set it on a drip tray, it always makes me nervous that the drip tray will overflow, ruining my floor. You can always carefully drill a hole in the bottom of this, or any ceramic pot if you prefer to have a drainage hole. Metallics are always a wonderful way to accent the decor of a room, as long as you don’t go overboard. 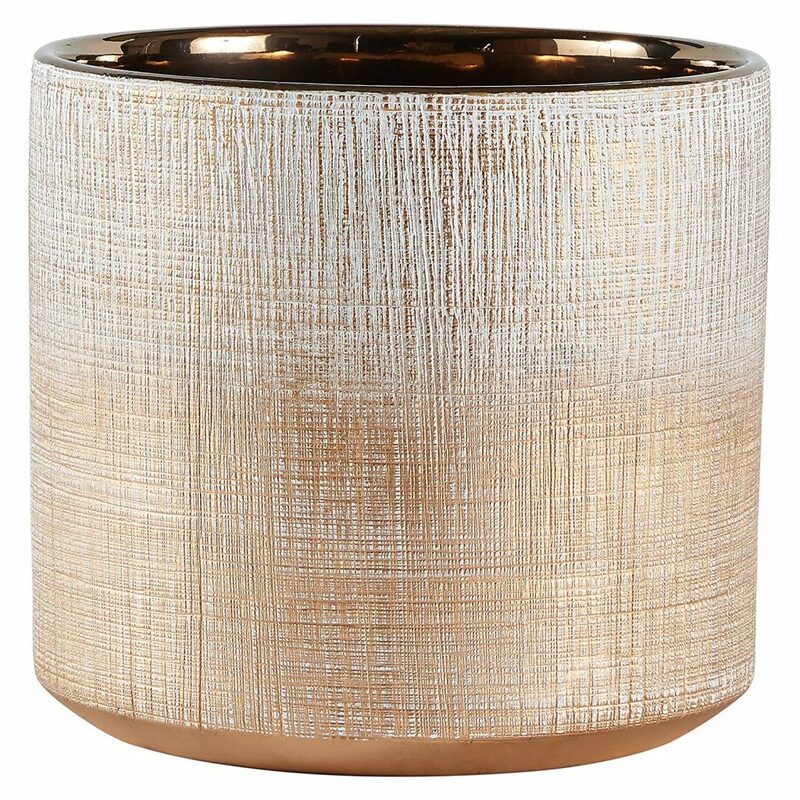 This gold planter from Pebble and Peach adds a touch of luxury and I think it could work really well in a living room or hall. 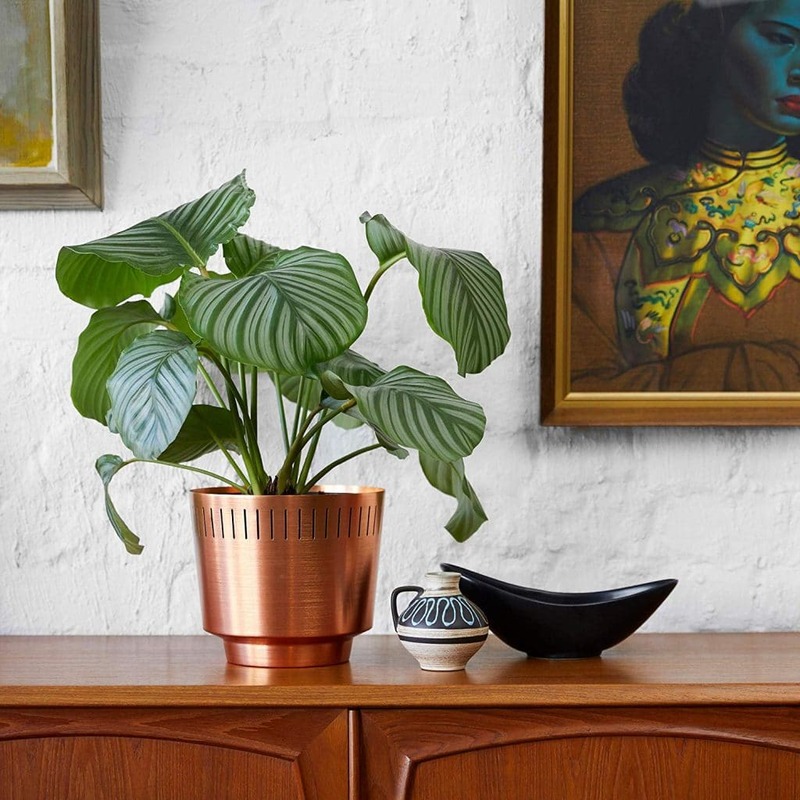 I love the simplicity of this copper planter. Copper seems to be very popular in home decor at the minute and it really looks well in contrast with the white wall. The detailing around the top makes this stand out and it well proportioned for a side table. Mid-century planters seem to be everywhere you look these days, and I love this modern twist with the iron stand in place of the more common wooden stand. It’s no surprise that this style of planter has become so popular again, and of course, this is the same with many styles that come racing back into fashion decades after they were last popular. 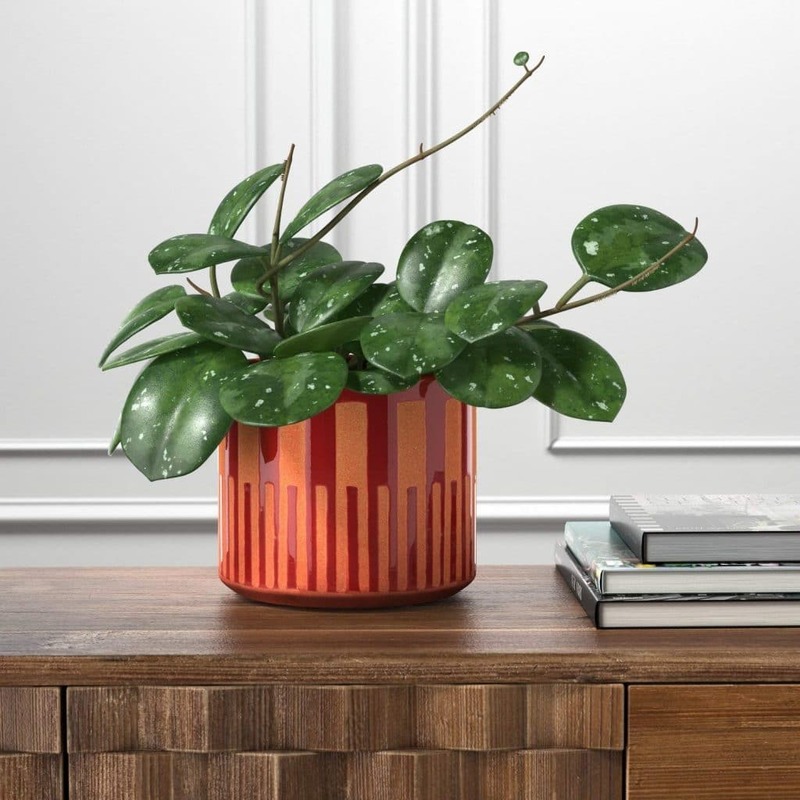 This planter brings real warmth with its terracotta and red color scheme. It has an interesting pattern and the part glaze finish add texture and interest. I tend to have quite a safe interior decorating taste, so this wouldn’t naturally be a planter I would pick. However, I keep being drawn back to it and think it would look great in my living room. I totally love this planter. The combination of the pattern and texture has me drooling. This is exactly the type of planter I love. It always surprises me how difficult it can be to find really awesome looking vases, planters and other decor accent pieces. Sometimes the more simple something is, the harder it is to do it right. I think this planter is just right. 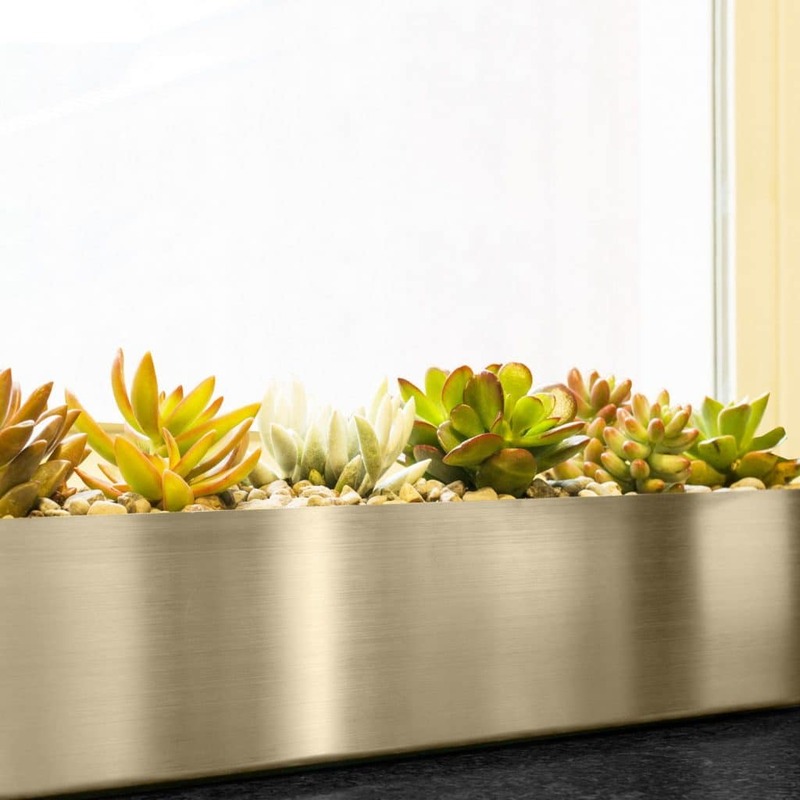 Something a little different, with a very modern, industrial look, these brushed stainless steel planters would be ideal for herbs or succulents on a windowsill. 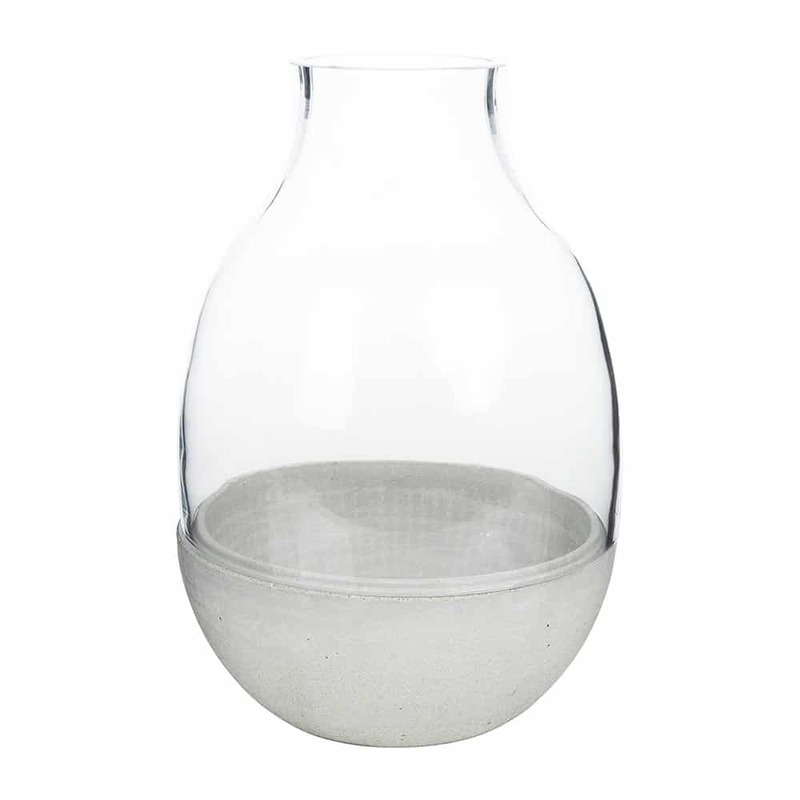 I’m a huge fan of LSA glassware generally, and have a few of their vases. They’re always my go-to brand when I need quality glassware. I haven’t yet taken the plunge with these terrarium vases, but I’m planning a new open terrarium project shortly and the 24 cm funnel pot is looking very tempting for this project. Pricey, but a real statement piece. I’ve seen a number of terrarium arrangements on Pinterest using the Eden terrarium and boy do they look great. 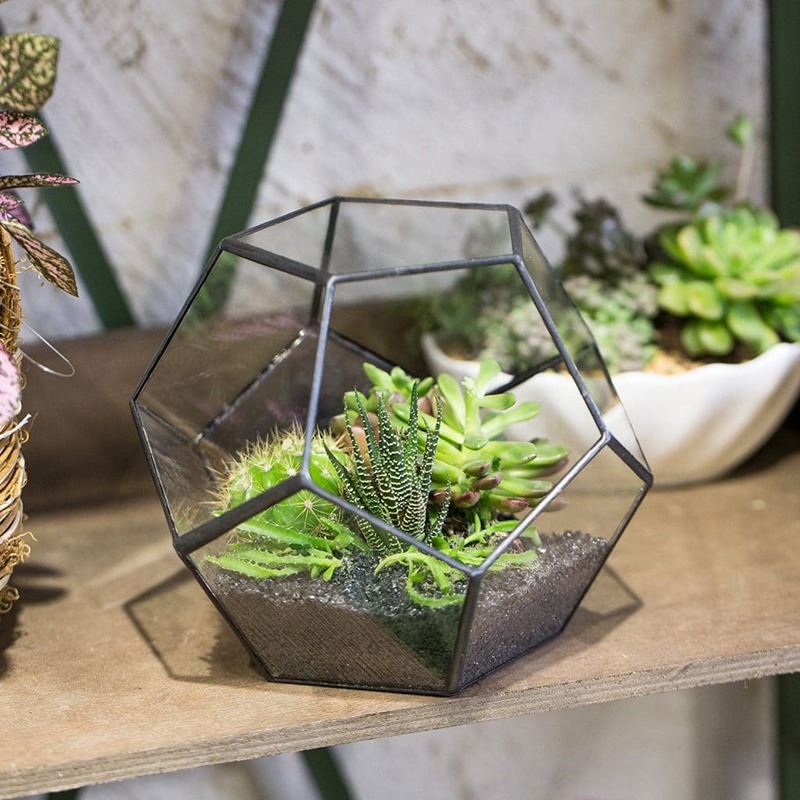 NCYP specialize in geometric open terrariums that look great and are surprisingly affordable. 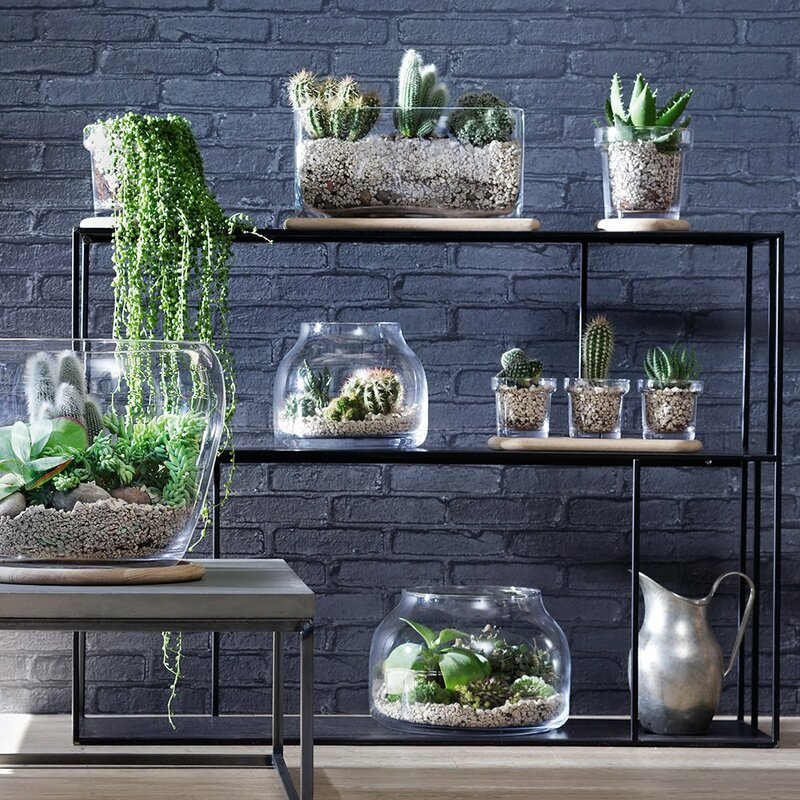 This style of terrarium is hugely popular at the minute. 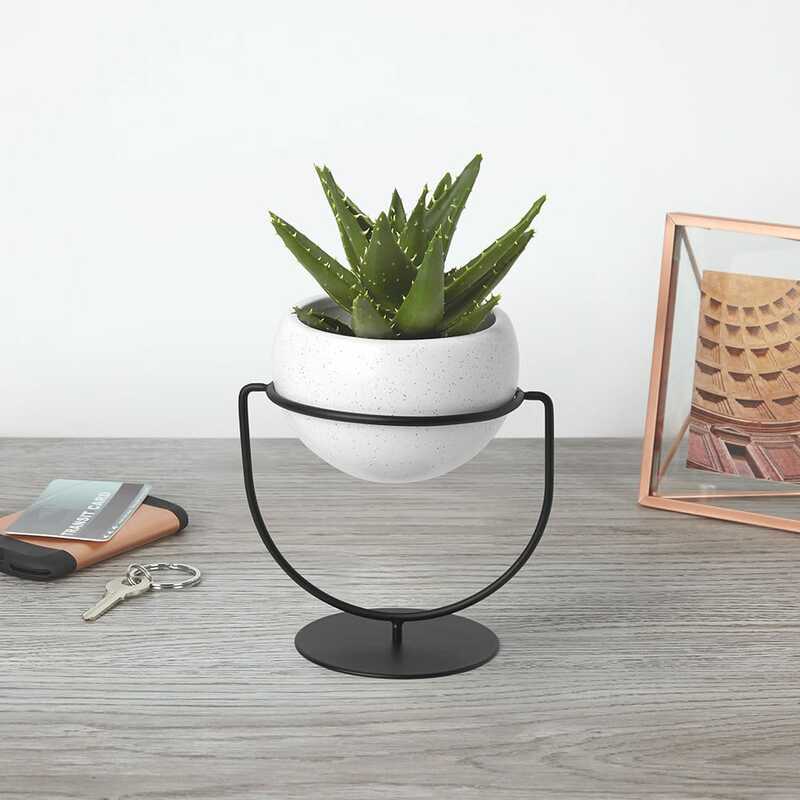 People love to display their succulents in quirky and interesting ways, and I think this is a great option to provide an interesting display on a side table. It’s big enough that a succulent plant would have sufficient room to thrive, but is small enough to capture the cute appearance that so many people aim for with their succulent arrangements. This is another self-watering pot that caught my eye. Simple and understated, this would look great on your kitchen windowsill. 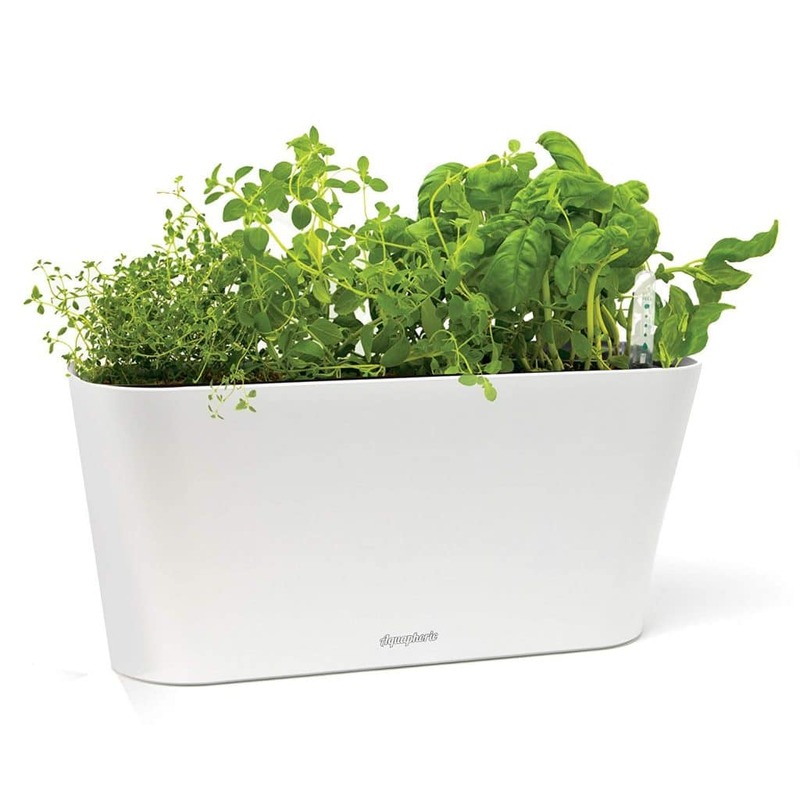 I love to harvest fresh herbs from my indoor herb garden when I’m cooking, although I tend to use the Aerogarden Harvest 360, which helps me grow herbs easily indoors all year round. 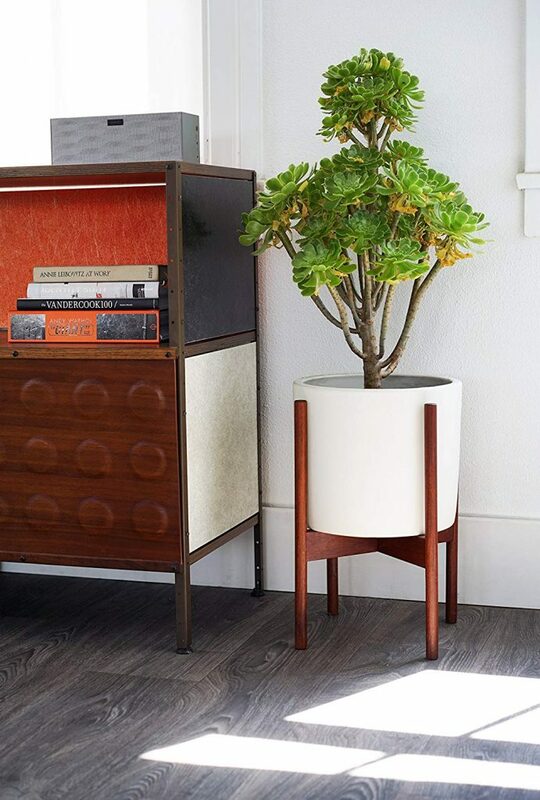 Finishing off, I’ve chosen another mid-century planter, this time with a more traditional wooden stand. I picked this one out as the quality is so good and it looks fantastic.